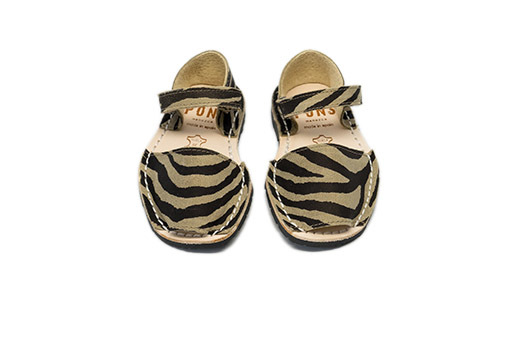 Dress up any look with these fun striped Frailera Pons Avarcas for Kids in Zebra! 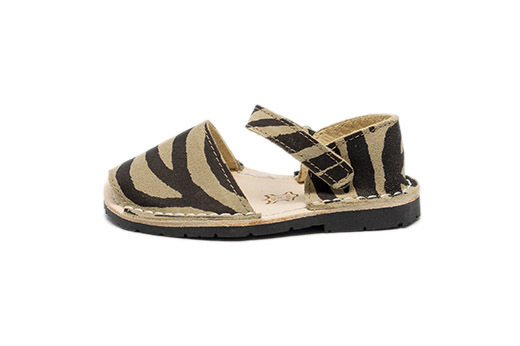 Lovingly handmade on the island of Menorca from all natural leather, the kids Avarcas also have an adjustable velcro ankle strap for good fit and comfort as well as a lightweight rubber sole. Let your little one pretend to roam the Savannah (or through the house) with these cute, yet durable Pons!